Observation - Denticollis linearis - UK and Ireland. 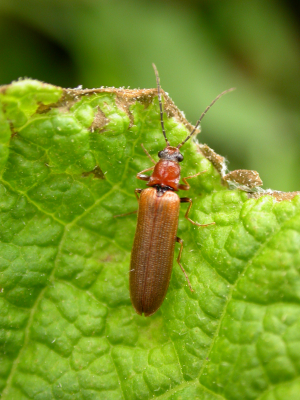 Description: This beetle looks superficially like a soldier beetle, but is actually in the click beetle family. This is a female. This beetle looks superficially like a soldier beetle, but is actually in the click beetle family. This is a female.